There’s no more beautiful place than Skywalker Ranch in Nicasio to the north of us. We’re recording ‘Then and there, Here and Now’ which will be released by Warner in October, as we tour that program in the U. S. and Europe. It’s our 40th Anniversary program including lots of favorites and music written and arranged for us. 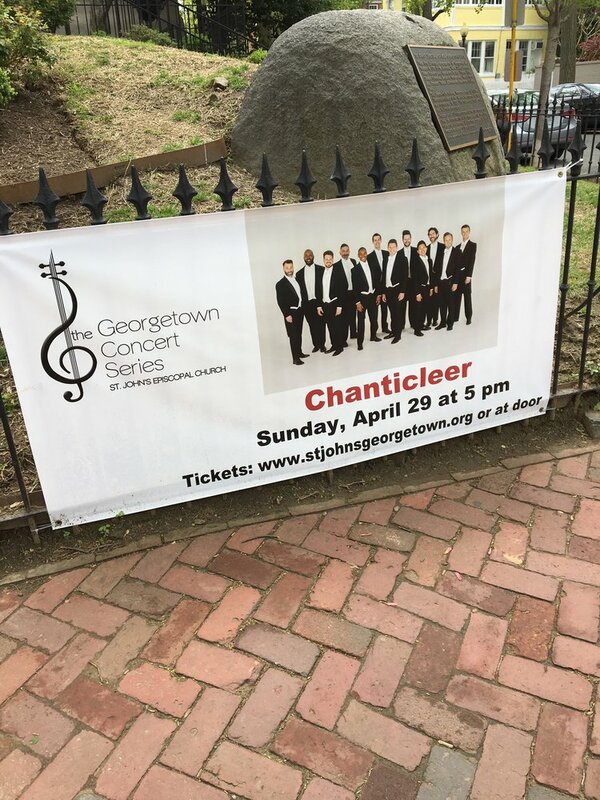 This month we’re celebrating Chanticleer’s 40th - an event which amazes all of us but which would not have surprised Louis Botto at all - those who knew him say. We began with performances of “Then and there, Here and Now” an Anniversary program paying tribute to composers and repertoire we have loved over these years. We’ve performed it in Danville, Sacramento, Santa Clara, and, this weekend in San Francisco, and people seem to be loving it. It will go on the road in July. These performances also celebrated Eric Alatorre, retiring after 28 years in Chair 12. The weekend’s performances in San Francisco were full of long-time fans, and a number of alums, among them Rob Bell, Jeff Watts, Frank Albinder, Chris Fritzsche and Jesse Antin who came to see Eric off. The next Anniversary event, in the Old Mission Dolores on June 27 will actually be Eric’s last San Francisco performance, then his last last last performance will be at the Ravinia Festival on July 31. Nice to see him showered with all the affection he so richly deserves, and looking forward to life after Chanticleer. We know you will welcome the next occupant of Chair 12. ( the Eric Alatorre Chair, endowed by Peggy Skornia,) pictured below with Eric at our recent photo session. Bass Andy Berry is a Yale grad, and a former Whiffenpoof, and we look forward to singing with him, starting in August. April is always a month with a lot of different things in it. To our travels this time, we added the first official event of our 40th Anniversary, at the Sonoma Mission. 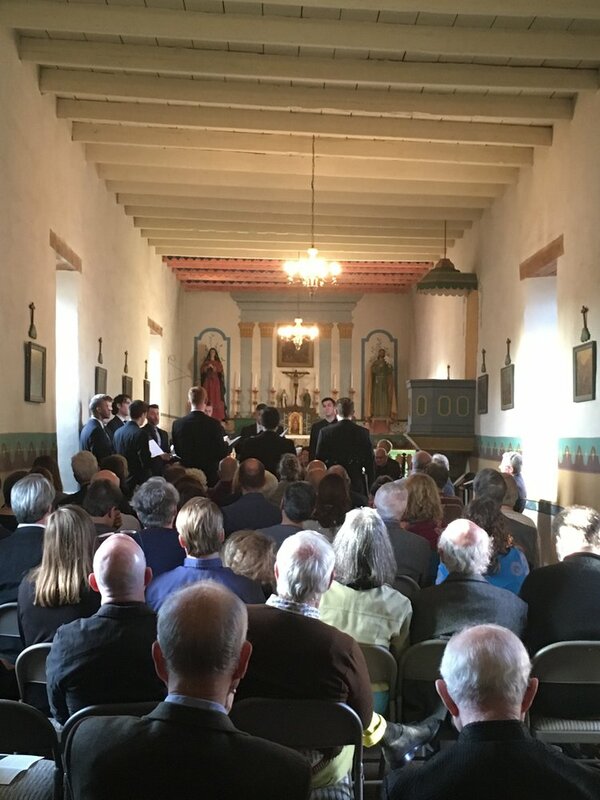 On a beautiful Sunday in our first appearance at that tiny mission, we celebrated our 40th year of performing in the California missions, and the 28 years in Chanticleer of bass Eric Alatorre who leaves us in the summer. The day started with wine tasting generously provided by Chris and Naomi Thorpe in the company of Eric and his family, a performance of mission baroque music with commentary by Fred, Craig Russell and Eric, and more wine after the concert. 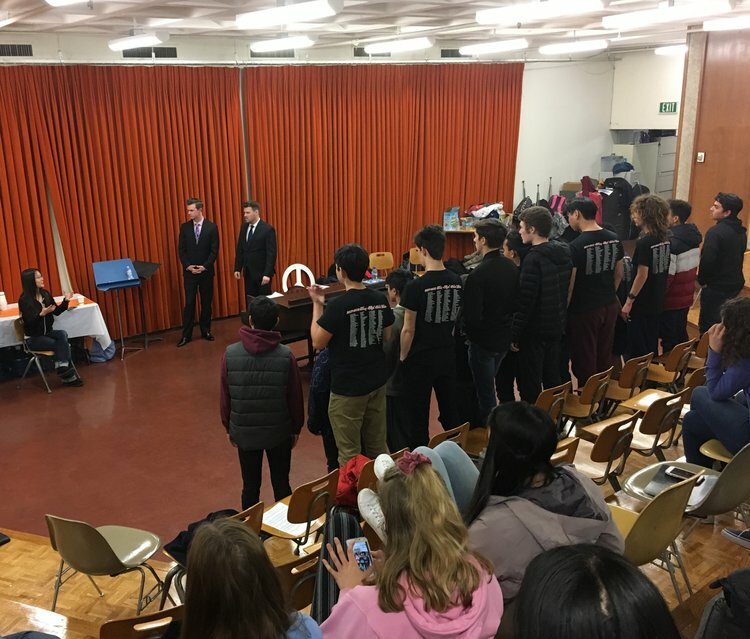 We had performed the program of the Bolivian and Mexican baroque music we love in March and early April in San Francisco, Fremont and Santa Clara. 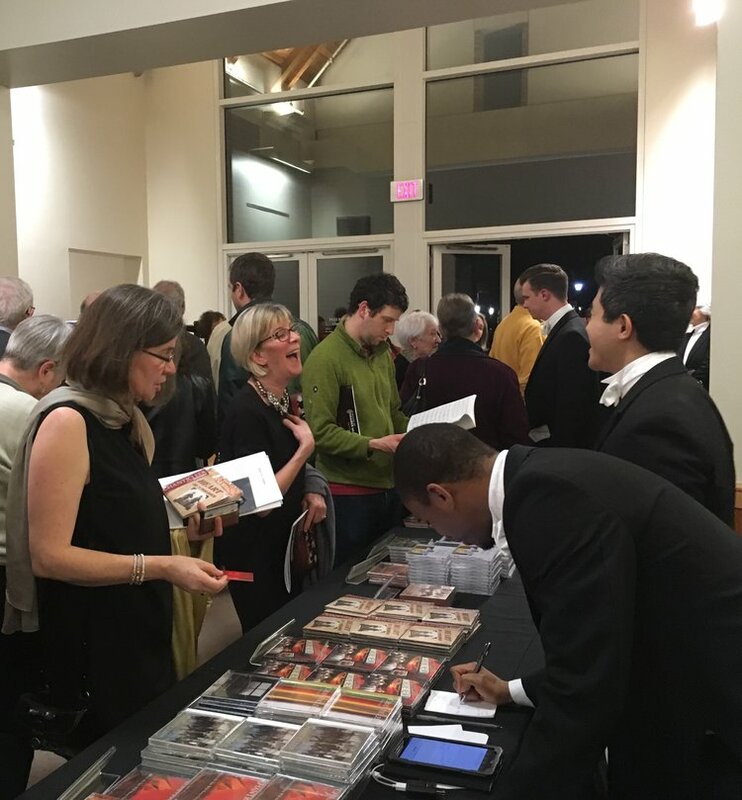 A whirlwind tour to Phoenix, New Orleans, and Baton Rouge, Hattiesburg, MO, followed then back to the Bay Area for the Sonoma event, and a last performance of the mission baroque program in Santa Cruz. Another whirlwind to La Jolla and Camarillo, California followed by New York, Brooklyn and Philadelphia. 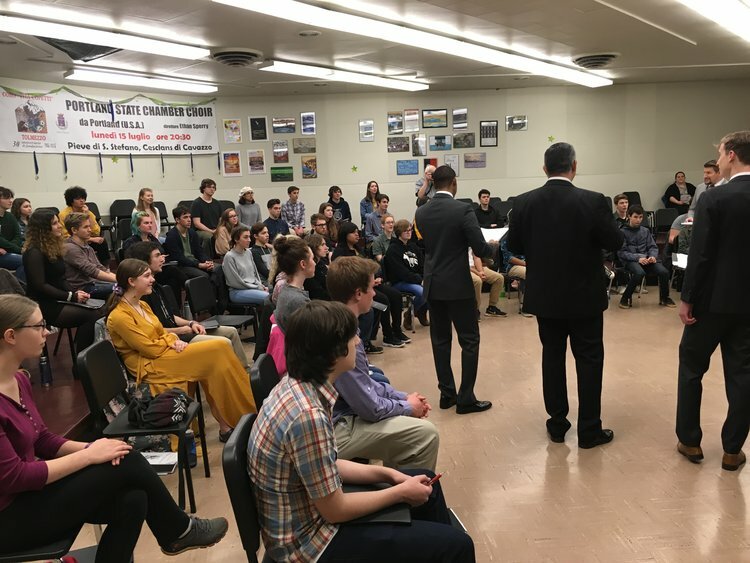 There was a nice surprise in Philadelphia where a group from the Keystone State Boys and Girls Choirs attended. They sought out Fred, and then asked if they might sing a number for us which they did very sweetly. Some audiences members stayed to listen. A nice moment. Followed by a return to Washington DC’s at St. John’s Episcopal church in Georgetown which brought April to an end. After New Britain and Boston this week we’ll return home to prepare our final Bay Area concerts and several Anniversary events.